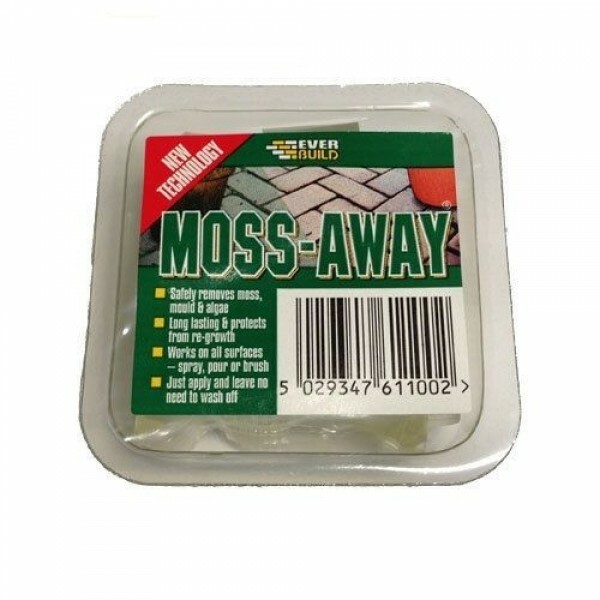 EVERBUILD MOSS-AWAY Super Concentrate is a new type of Moss, Mould and Algae treatment that safely removes all type of green growth without the need for any washing off, scrubbing or pressure washing. Totally safe and non-hazardous to children and pets, once dry MOSS-AWAY is made from biodegradable ingredients and does not include any bleach or acid contents. · No need for washing or scrubbing after application. 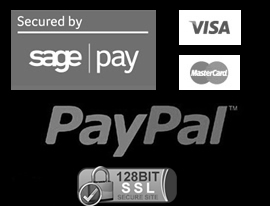 · Powerful fast acting formula. 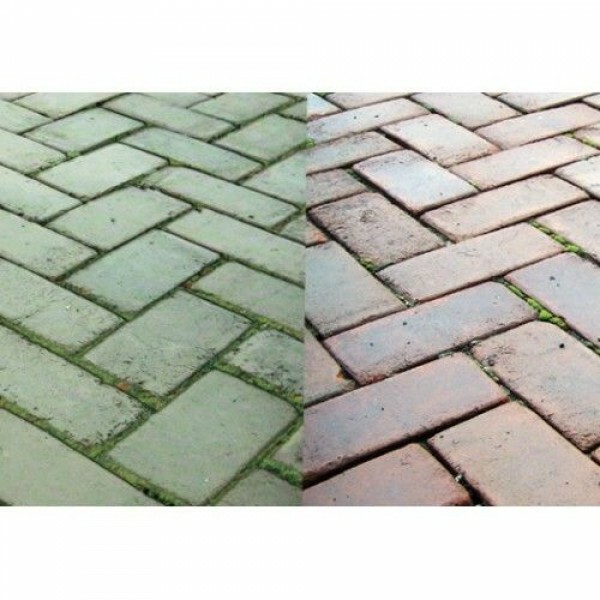 · Paved areas such as patios and driveways. · Block Paving, fencing, sheds and greenhouses. · Perspex, polycarbonate panels and garden furniture. 50ml SACHET - Remove sachet from protective wrapper and simply drop into a bucket containing 5 Litres of water, ideally warm water to speed up dissolution which will take approx 30-60 seconds, in cold water this may take up to 2-3 minutes, mix briefly before applying. Whilst this product is designed to be safe to use on most ‘water safe’ surfaces we recommend that you test a small inconspicuous area if unsure. Apply at an approximate rate of 1 litre per 3 to 6m². N.B: ensure any debris such as leaves, twigs, loose soil or weeds are removed from surfaces to be treated prior to application. After applying simply leave for 1 to 3 days and the green growth will slowly disappear (in a similar manner to the way weed killers work). On heavily soiled surfaces a second application may be required. 50ml sachet will cover approx. 30 square metres. Protect from frost. Store only in original containers. This product should be used within 2 years of manufacture.